← Happy birthday, Jorge Amado! 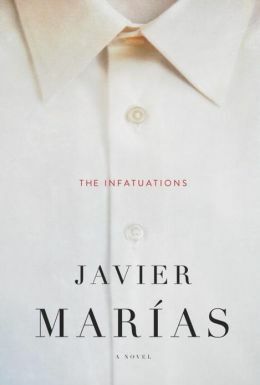 Javier Marías’ The Infatuations (Knopf) begins with an intriguing premise. A young woman, María Dolz, eats breakfast every morning at a café in Madrid that is frequented by an attractive couple, Luisa and Miguel. One day, she discovers Miguel is murdered. She becomes friends with Luisa as well as with Javier, a friend of the couple who helps the widow out after her husband’s death. María becomes entranced by the mystery of Miguel’s death — and Javier may have played a role in the part. The Infatuations sounds like a great thriller, but it’s more intellectual. Whether you’ll like it depends on your tastes in literature. The characters often talk in long monologues than can go on for paragraphs or even pages. Who talks like that? At times, I wanted the story to hurry up and get to some action. The book — which ran about 50 pages too long — is best read in small doses. But those long pages of conversations also had elegant writing (translated by the great Margaret Jull Costa, who also translated José Saramago’s Cain and Paulo Coelho’s Aleph). Marías has some great observations about the human condition. Patient readers will be rewarded with an interesting twist about the murder. The ending also makes you think about the significance of the title and how people can get caught up in each other’s lives. Think of The Infatuations as literary fiction with a wicked side. 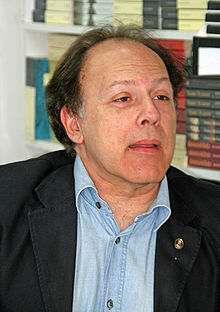 Marías, who was born in Madrid, is considered one of Spain’s top contemporary novelists. He has written thirteen novels, including the award-winning The Man of Feeling, All Souls and A Heart So White.